Marlene Dietrich is one of only a very few film legends whose career spanned 60+years. Her life in film began in the early 1920s with silent pictures. It came to a close with Maximillian Schell's 1984 Oscar-nominated documentary, Marlene, in which she speaks but does not appear on camera. Dietrich shot to fame as Lola-Lola in Josef von Sternberg's The Blue Angel (1930). Shortly after the film premiered, she left Germany for the U.S. where she and von Sternberg collaborated on six more films during the 1930s, all for Paramount Pictures. The first, Morocco (1930), was nominated for four Oscars, including a Best Actress nod for Dietrich. By the late 30s, her career had cooled somewhat but was reignited when she co-starred with James Stewart in the 1939 hit, Destry Rides Again. Although Dietrich continued making films in the 1940s, most were shot before the U.S. entered the war or made after the war ended. Though she appeared in only nine films from 1950 - 1978, several are classics: Hitchcock's Stage Fright (1950), Fritz Lang's Rancho Notorious (1952), Billy Wilder's Witness for the Prosecution (1957), Orson Welles' Touch of Evil (1958) and Stanley Kramer's Judgment at Nuremberg (1961). In 1953, the Sahara Hotel in Las Vegas offered her the unheard of sum of $30,000 a week to perform on stage. Her run was so successful that she was quickly signed for a similar engagement in London. The London show was also a smash and she followed it with a return engagement at the Sahara. This was the beginning of Dietrich's celebrated career (and reinvention) as a high-ticket chanteuse that lasted through the mid-1970s. She performed her concert act for a 1972 TV special that earned her an impressive-for-the-era $250,000 paycheck. Her final film appearance was a cameo in Just a Gigolo (1978) starring David Bowie. Marlene Dietrich is generally remembered for her glamour and allure, her iconic films, her concert career and her amorous adventures. Her generous spirit is less well known. While she was in England in 1937 working on a film, von Ribbentrop, Hitler's then-ambassador to Great Britain, approached her and pressured her to return to Germany. She refused and became a U.S. citizen in 1939. When America entered World War II, Dietrich was one of the first stars to sell war bonds. She entertained troops on front lines all over Europe and in North Africa, appeared at sevicemen's canteens and made anti-Nazi broadcasts in Germany. The OSS (the CIA of the time) had a Morale Operations (MO) branch that began producing 'black' (propaganda aimed at psychological warfare) radio programs in 1943. These programs reached listeners throughout Europe and the Mediterranean and were intended to create discord in the Axis countries. In 1944, the MO began to recruit Hollywood talent to boost the quality of programming on its stations. 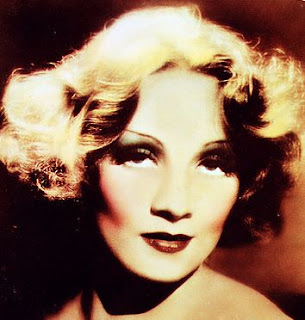 The most popular station was Soldatensender (Soldiers' Radio), and one of the most popular songs it played was Dietrich's "Lili Marlene," with 'black' lyrics created especially for the German version. The Nazi government banned the broadcast of "Lili Marlene, " but the ban was lifted in the face of a backlash among Axis soldiers. "Lili Marlene" soon became the song played at the end of every Soldantensender broadcast. In 1934 Dietrich became romantically involved with one of the great stars of silent films, John Gilbert. Gilbert's young daughter Leatrice came to know Dietrich through her father. In her 1985 biography of him, Dark Star, Leatrice Gilbert Fountain wrote of Dietrich's kindness to her, particularly after John Gilbert's death in early 1936. According to Leatrice, during her romance with John Gilbert, Dietrich tried to help revitalize his career as well as his health and well-being. She arranged for Gilbert to make a test for the role of her jewel-thief partner in Desire. Gilbert got the part. Unfortunately, shortly after filming began, he suffered a heart attack and was replaced in the role. Leatrice recalled visiting her father's house on December 24,1935 and being dazzled by the beautiful Christmas tree, decorated in the German tradition by Dietrich herself. She noted that Dietrich thoughtfully slipped away that day so she could spend time alone with her father. Just over two weeks later John Gilbert was dead at 38. Following his funeral, Dietrich contacted Leatrice's mother with information and advice about Gilbert's will that could benefit her daughter. Though her mother was unable to successfully pursue the information Dietrich provided, much more important to young Leatrice was the relationship she developed with Dietrich. A week after John Gilbert's funeral, Leatrice received a beautiful bouquet from Dietrich with a card in her handwriting, "I adored your father. Let me adore you." Leatrice Gilbert Fountain wrote in Dark Star that for many years thereafter Dietrich made a point of trying to fill the void left by her father's death. She remembers Dietrich as a "fairy godmother" and tells how the star took her to theater openings, on long walks and talks, baked cookies and cakes for her and generally made her feel like "a princess." All this was at a time when Dietrich was very busy with her film career. Fountain reflects, "I wonder if Marlene Dietrich realized what a difference her presence made to me." She also recounts stories of Dietrich's early days in Hollywood when word began to circulate that she paid the overdue rent of a studio secretary who'd lost her job, that she picked up the hospital bill for the child of a studio electrician and other such acts of generosity. Fountain emphasizes that Dietrich would never take credit for these deeds nor would she talk to Fountain about her efforts to help John Gilbert; Leatrice had to go to other sources to find out. Marlene Dietrich died at age 90 in Paris on May 6, 1992. Her celebrity remains legendary, but her humanity has a place in the Dietrich legend as well. Eve , Thanks for the Post. Most people do not know that after Marlene's rebuff of Hilter he had her name placed on The Waffen SS Death List , I think she knew about it but still played shows to The GI's on the very front lines anyway knowing if the were overrun she would be put to death. What a Dame!!! LadyEve, good job in presenting Marlene's other vocation as a philanthropist. Rancho Notorious is one bizarre film, but I love it! Saw Judgment at Nuremberg the other day and thought her scenes with Spemcer Tracy were outstanding. One of my favorite Dietrich performances is in Billy Wilder's A Foreign Affair. Also caught her in the blazing color and crazy costumes of Kismet recently. She was always fascinating and seductive. She would have been interesting in Kiss of the Spider Woman. Nice profile piece. Not many people know about her work outside of film, so you did a service to others by highlighting her other assets. It's interesting to note that some of her best performances came at the end of her screen career, most notably Witness for the Prosecution, Touch of Evil and Judgment at Nuremberg. Saz I'm with you I love A Foreign Affair, I also like the 1951 No Highway In The Sky With James Stewart which the Fox Movie Channel runs often. Eve, you have truly painted, with your words, a lovely portrait of Marlene Dietrich. I appreciated learning of her kindness to John Gilbert's daughter and others. She certainly took a courageous stand at a time when many didn't. The picture you posted of her is exquisitely done as well. I really enjoyed her performance in "Witness for the Prosecution" as it totally took me by surprise. Exemplary post, Eve. Thank you!